NOBLESVILLE, Ind. 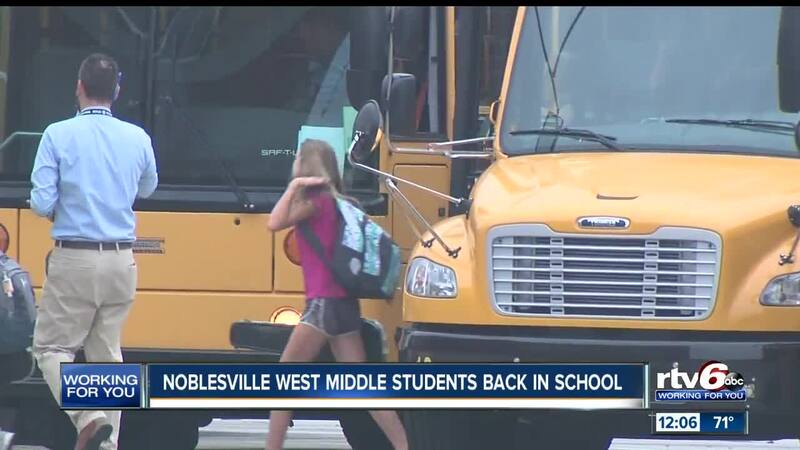 -- Students and staff returned to a new normal as classes began Wednesday morning at Noblesville West Middle School. Just three months ago, a student opened fire wounding classmate, Ella Whistler, and science teacher, Jason Seaman. Both were expected back at Noblesville West on Wednesday. An all-star line up was on hand to greet students as they returned to class including Alexander Rossi, Pat McAfee, Alize Johnson, and Blue. 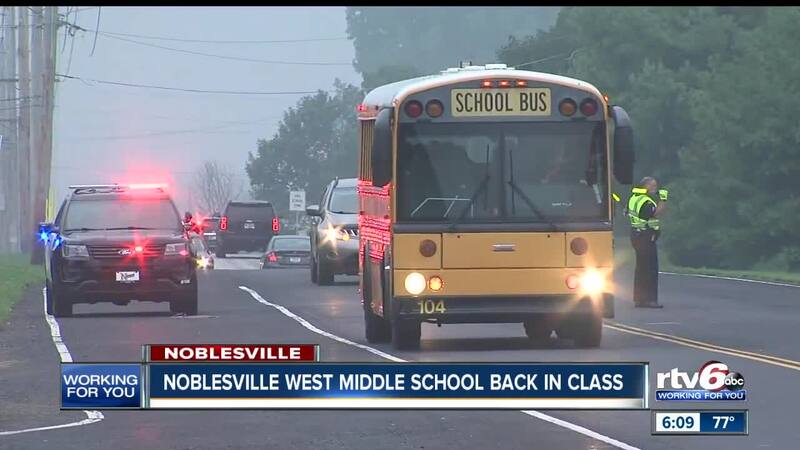 "Noblesville West Middle School students and staff are excited to be back at school. We want everyone to know how grateful we aer for the outpouring of support over the last two months. We feel fortunate to see exactly how generous and caring Noblesville and the surrounding areas can be. Most importantly, we want the world to know that one day in our history will not define us. Is is true that we are a part of a truly unfortunate statistic, but we are so much more than this. We will continue to defy the odds and prove what we already knew. Noblesville West is an incredible place where students love coming to school. We are putting last year behind us and looking forward to the 2018-19 school year and all the wonderful memories we will make." Also, Noblesville schools have placed a referendum on the Nov. 6 ballot. The additional funds would be used for more mental health staff, safety staff and equipment, and teacher recruitment. The school district says, if the referendum is passed, it would mean $15 more a month for a median Noblesville home valued at $206,000. Click here for more details on the referendum from Noblesville schools.